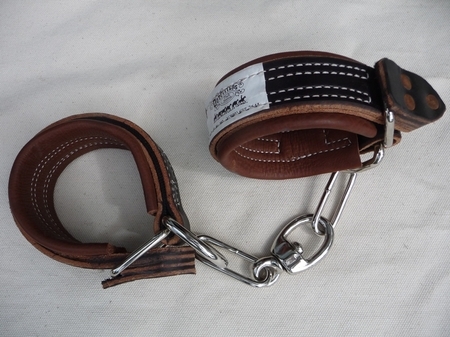 These hobbles are made of strong russet harness leather and are lined with soft leather to ensure comfort for the horse. Hobbles come with a nickel-plated chain. The chain has a swivel to avoid tangles. Take a look at our video. Click on the link below.